Announcing his decision to challenge the Centre over its cattle ban, Kerala Chief Minister Pinarayi Vijayan on 31 may said that he will call for a meeting of all the Chief Ministers, asserting that the Union Government does not have the right to issue such an order. "The Union Government does not have the right to issue this order. This is state's matter and regulations have no legal validity," Vijayan said during a press conference, adding that the legal sanctity of the new amendment lacks constitutional validity. "There are a number of clauses which are violating the state's basic rights. There are certain norms that the animal marketing committee has to look into. For example, the owner and buyer have to maintain a certificate which is not feasible and thereby we have decided to question the law in the court of law," he said. He further announced that they will discuss the issue with opposition party leaders and summon a special assembly to discuss the issue. "Union governments order not only prevents the killing of animals but also prevents the sale of cattle also. It has to be examined that whether Centre has the power to issue this order. Will discuss the issue with opposition party leader and summon a special assembly to discuss the issue," he added. Earlier, Vijayan urged the Chief Ministers of other states to raise their voices against restrictions imposed on cattle trade, while saying that the Centre's 'anti-democratic' notification is an attempt to usurp the state governments' powers in the guise of rules under a Central Act. Vijayan wrote a letter to the Chief Ministers saying that the restrictions imposed on cattle trade would adversely affect the livelihood of the millions of people, especially, those in the agriculture sectors. "I am sure that you are already conversant with the Notification containing the Prevention of Cruelty to Animals (Regulation of Livestock Markets) Rules, 2017 issued by the Ministry of Environment, Forest and Climate Change on 23rd May, 2017. The Rules impose a number of restriction on cattle trade which would have serious repercussions on the livelihood of millions of people, especially those in the agricultural sector, in our country," the letter read. 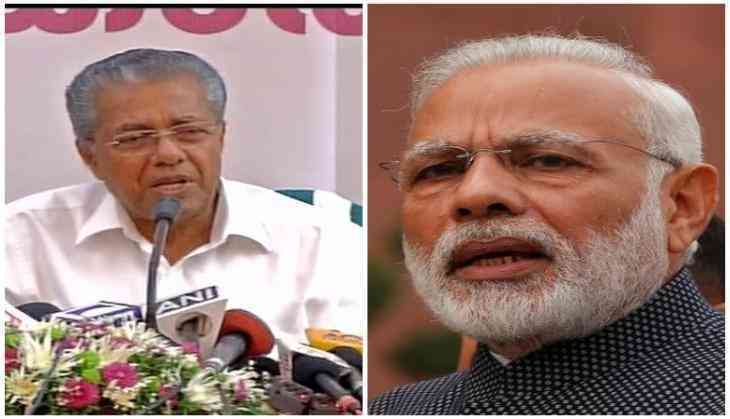 Urging the Chief Ministers to stand up against Centre's 'anti-federal, anti-democratic and anti-secular move', Vijayan said that they need to request Prime Minister Narendra Modi to withdraw the rules introduced without any consultation with the states. "I would therefore fervently appeal to you to convey your objection to the 2017 Rules under the Prevention of Cruelty to Animals Act to the Prime Minister, and to request him to withdraw the rules introduced without any consultation with the States. Since the matters dealt within the Rules squarely fall within the purview of State Legislatures, the State Governments may be allowed to formulate necessary policies and laws to suit the socio-cultural and economic milieu of the State," he said. Drawing a huge backlash from various fractions, Minister for Environment, Forest and Climate Change Harsh Vardhan ordered that the ministry has notified the Prevention of Cruelty to Animals (Regulation of Livestock Markets) Rules, 2017 to ensure that the sale of cattle is not meant for slaughter purposes. He said the seller and buyer both have to ensure that the cattle is not being bought or sold across the country's livestock markets market for slaughter purposes. The rules also state that the purchaser shall not sacrifice the animal for any religious purpose or sell it to a person outside the state without permission and must keep in with the state's cattle protection laws.